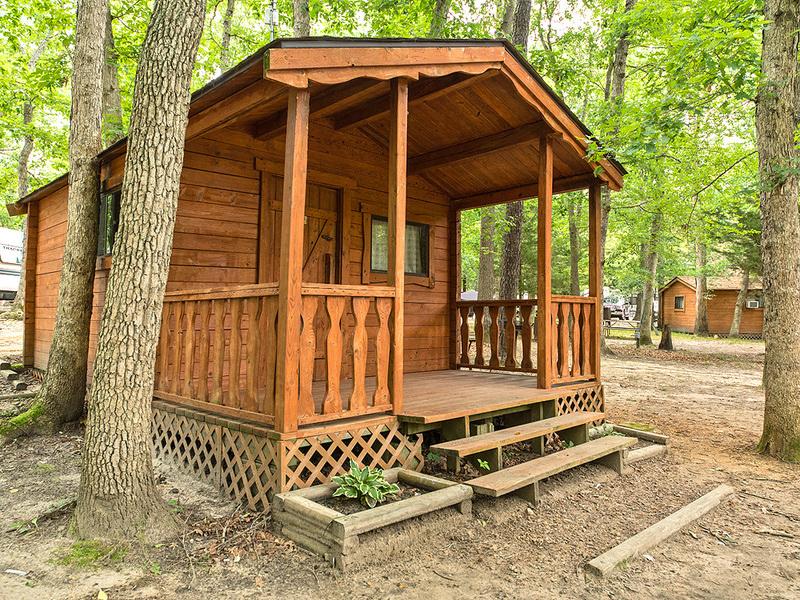 This cabin has a full bed and a bunk bed. Pets welcome in this rental. This cottage sleeps 6 (4 adults/2 children) and includes a bedroom with a queen bed, a loft with a full mattress, and a sleeper sofa. 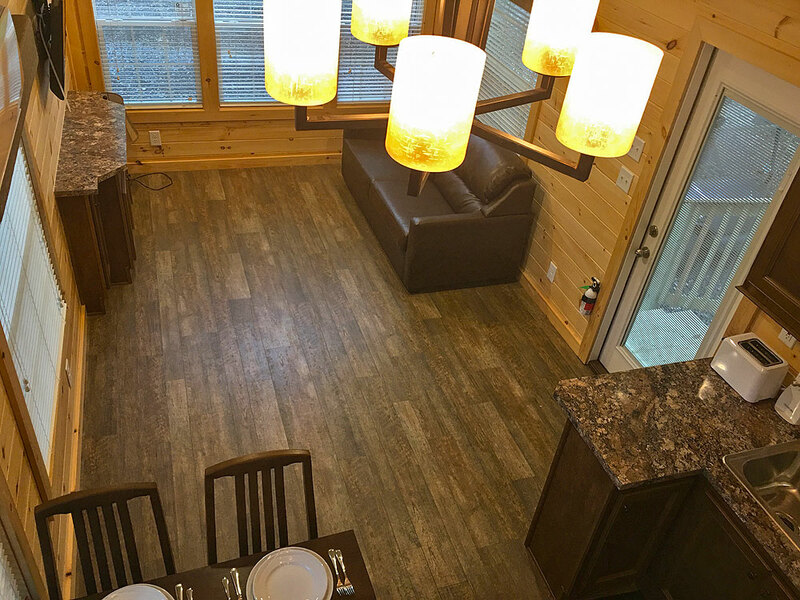 It is filled with all of the comforts of home including a full bath and kitchen. In the kitchen is a 4 burner stove with oven, microwave and refrigerator. The dining nook contains a table that seats 4.